Ever accidentally wandered onto a film shoot while heading to class? You wouldn’t be the first. UBC is one of the most popular filming locations in Vancouver, racking up a total of 91 on-screen appearances according to GoCompare, which compares all of the different filming locations around the world. 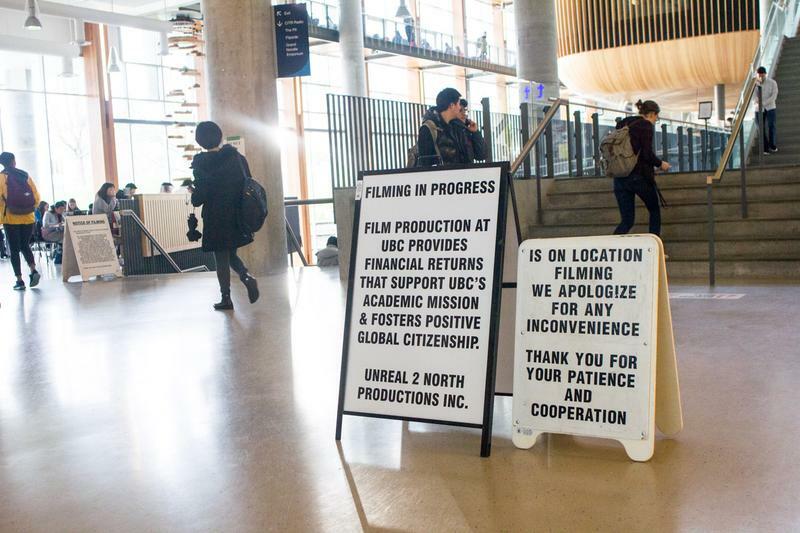 So what makes UBC so appealing to a filmmaker’s eye? There is a certain charm to campus, with its high towers, ivy-covered buildings and tree-lined streets, that make directors and producers flock to the university. According to Chan, the more popular locations to shoot are Main Mall, Cecil Green College, Thunderbird Stadium and the Chan Centre for the Performing Arts. Films from different walks of life all seem to converge here. The soccer scenes from She’s the Man, starring Amanda Bynes, were filmed on the fields of Thunderbird Stadium (“Welcome to Illyria, welcome, welcome, welcome!”) and X-Men Origins: Wolverine, was filmed at Buchanan Tower as an African fortress. Students on campus during the summer of 2017 received quite a bit of shock when they saw swastikas plastered all over campus for the filming of TV series The Man in the High Castle, which is about a dystopian alternate universe where the Axis powers won World War II. Chan was quick with reassurances that the university was not condoning Nazism. Glimpses of UBC can also be spotted on TV series Legion, featuring Martha Piper Plaza and Koerner’s Library. Supernatural, which recently premiered its 14th season, uses the Iona Building as Crawford Hall. The reboot of The X-Files even had some of its episodes filmed at Main Mall. Most importantly, who could forget the 2015 Valentine’s Day release of Fifty Shades of Grey? The Chan Centre was where Christian Grey made his speech for Anastasia Steele’s graduation ceremony at her university in Vancouver… Washington. As the new term begins, it’s been pretty quiet around campus in terms of filming. But on any future shoots, Chan is tight-lipped.